1.Sarıyıldız: Kurds defend the values of humanity, what about you? 1. 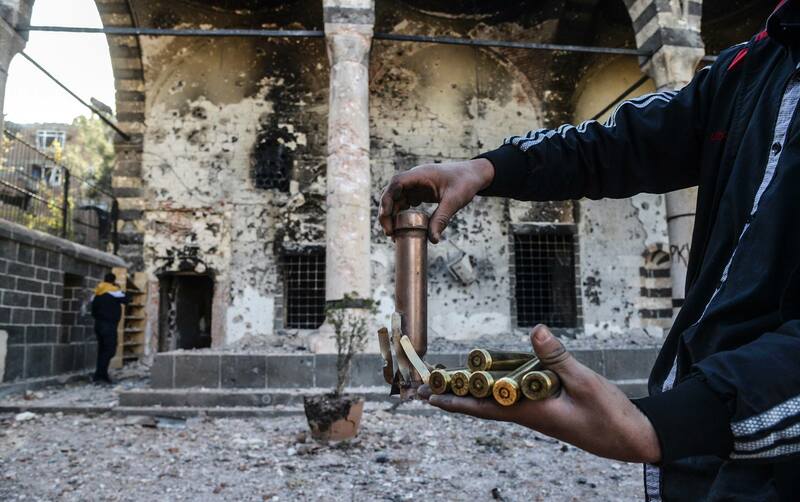 Sarıyıldız: Kurds defend the values of humanity, what about you? Switzerland Kurdish Women’s Movement organized a protest in front of the United Nations (UN) Headquarters in Geneva yesterday as the 33rd Human Right Session of the UN Human Rights High Commission continues. HDP Şırnak Parliamentarian Faysal Sarıyıldız addressed the participants of the protest that was organized against the Turkish state’s policies in Kurdistan and demand the UN to take action. HDP Co-Presidents Figen Yüksekdağ and Selahattin Demirtaş sent a letter to the representatives of international organizations regarding the academics and teachers that have recently been dismissed. In their letter, the co-presidents stated that the AKP government used the struggle against the coup as an excuse for targeting Kurds and opposition groups, and outlined detailed information on the situation of the Eğitim-Sen member teachers and the academics that have recently been dismissed. KCDK-E Executive Council has organized panel discussions in various countries following Kurdish People’s Leader Abdullah Öcalan’s message. Members of the International İmralı Delegation, including Nelson Mandela’s lawyer Essa Mossa, made an urgent call to the CPT to visit the Imralı Prison. The delegation members asked the CPT to stop their approach to encourage the system of torture and isolation in İmralı Prison and heed to the concerns of millions. 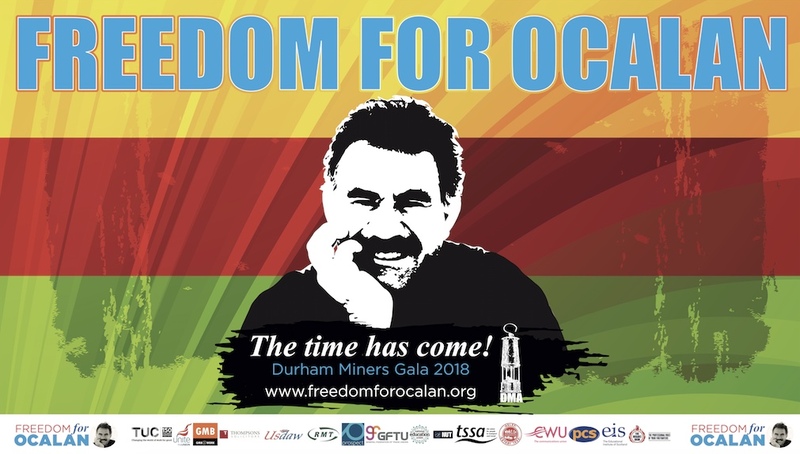 The letter addressed to CPT Director Mykola Gnatovsky states that Öcalan was not allowed to see anybody since April 5, 2015 and was finally heard from for the first time since on September 11 via his brother Mehmet Öcalan. Kurdish people and their allies protested the AKP government’s appointment of trustees to DBP municipalities and the isolation of Öcalan across Europe. More than two thousand Kurds in Dortmund protested the AKP government’s appointment of trustees to DBP municipalities and the isolation of Öcalan. Protesters carried Öcalan’s posters, demanded Öcalan’s freedom, and expressed that they would not recognize the trustees appointed by the AKP government. Turkish Prime Minister Binali Yildirim said a potential Obama administration plan to arm Syrian Kurds in the fight against the Islamic Statemilitant group would further breakdown relations between the two countries. Yildirim, speaking to reporters Thursday, said Turkey and the United States are not in agreement about the status of the Kurdish Democratic Union Party, People’s Protection Units and others, collectively known as the Syrian Democratic Front. Turkey considers them to be terrorist organizations and objects to Washington’s relationship with the groups. The Turkish state, which hinders almost all humanitarian aid to Northern Kurdistan and Rojava and arrests aid workers, has dealt a blow to aid efforts with the trustee appointments. Meanwhile, the Turkish soldiers are putting on a show of “humanitarian aid” over usurpation. Thomas Seibert, an employee at the aid organisation Medico International based in Frankfurt, Germany, spoke to the website Telepolis and said they were trying to distribute medical and hygienic supplies and construction materials in addition to the food supply in Kurdistan. Jarablus Military Council Commander Armanc Cerablus spoke to ANF on the Bab and Raqqa operations that Turkish President Tayyip Erdoğan and AKP government officials have been discussing after the Turkey-backed gang groups Fateh al-Sham, Ahrar al-Sham, Nour al-Din al-Zenki and Sultan Murat Brigades occupied Jarablus and Al-Rai (Çobanbey). Saleh Muslim, the Co-President of the Democratic Union Party(PYD), considered that “founding a federal democratic Syria, within which everyone enjoys their rights is a crucial mission to the PYD, achieving this, we will be undertaking our duty before history, and we assure that we are not looking forward to any positions or authorities”. On the occasion of the 13th anniversary of PYD foundation, Saleh Muslim delivered a statement to ANHA saying” first of all, we congratulate Rojava-North Syria people in this occasion, in fact we spent these years struggling for our people, and our victories are not but the result of their resistance”. The Syrian Islamist movement of Ahrar al-Sham on Tuesday issued a religious verdict justifying cooperation with the Turkish army against ISIS and the Kurdish forces in Syria, confirming it’s participation in the Turkey-led Jarabulus operation. “It is permissible to cooperate with Turkey to fight the Islamic State, and there is a need for an Islamist group to rule there to prevent groups like YPG [Kurdish forces] from taking over,” the fatwa read. The Syrian Kurds are preparing a census upcoming Monday in the three cantons in preparation for holding elections, the Rojava Administration said. “The census, to be held in Rojava for the federal system, will be a historical step. It could be supervised by international organizations and observers,” the Kurdish-led Rojava Administration said in a statement. International Conference on Gender and Post-Genocide was held in Armenia’s capital Yerevan. The genocide against Êzîdî people carried out by ISIS and genocidal war carried out against the Kurds by the AKP left their marks in the conference. Tebessüm Yılmaz from academics told of Ekin Wan in the conference. The participants decided to work against the genocide carried out against the Kurds. As a result of Turkey’s pressures, Belgium once again prosecutes Kurds. A court hearing was held as part of the raid on Kurdish institutions on 2010. The hearing was closed to the press and the judges are expected to decide on the official start date of the case. 33 people, 2 TV stations and 7 civil society organizations are prosecuted in the case, and all of the prosecuted Kurdish institutions and politicians are branded as “the PKK clan.” Remzi Kartal, Zübeyir Aydar, Adem Uzun and Heci Ehmedi are among the prosecuted politicans. The 33rd September Human Rights Session of the UN Human Rights High Commission continues on its 5th day, and HDP Şırnak parliamentarian Faysal Sarıyıldız spoke during today’s session. Sarıyıldız shared his eyewitness account of the massacre with the participants of the session and called upon the UN and the world to do their duties and help bring justice. Kadri Gursel writes that the Turkish government’s purge following the attempted July 15 coup against President Recep Tayyip Erdogan has expanded beyond presumed supporters of Fethullah Gulen to include alleged followers and sympathizers of the Kurdistan Workers Party (PKK). The Interior Ministry this month replaced 24 mayors for supporting the PKK, which is a designated terrorist organization in Turkey, as well as its affiliate, the Kurdistan Communities Union. Half of those removed from office are already in jail awaiting trial. Gursel explains that the mayors “were elected in the March 2014 local elections on the ticket of the Peace and Democracy Party, which soon became Democratic Regions Party (DBP). The top labour organisation in the UK, the Trade Union Congress (TUC) decided on solidarity with the Kurdish people in their annual conference and launched an active solidarity effort. TUC has 6 million members in 52 unions in different fields. Founded in 1868, TUC is the most effective organisation in the UK in social, political and labour areas. Last Monday, on 12 September 2016, the Gomidas Institute and the Centre of Kurdish Progress hosted a special panel discussion entitled “Armenians, Kurds and Turks: Towards a Peaceful Resolution of a Painful Past.” The featured speakers were Hüseyin Olan and Özcan Birlik, the mayors of Bitlis and Mutki respectively. They were joined by Ara Sarafian (Gomidas Institute) and Tunç Albak (Middlesex University). The gathering took place at the House of Lords under the sponsorship of Lord Hylton, who also chaired the meeting and introduced the speakers. The Kurds have endured much suffering and persecution over the last century but are now eyed with respect and their rights are welcomed, Barham Salih, a top leader of the Patriotic Union of Kurdistan (PUK), said. After a meeting with Selahattin Demirtas, Salih described the co-chair of the pro-Kurdish People’s Democratic Party (HDP) as a “symbol” of the Kurdish struggle in Turkey. Salih, who is deputy secretary-general of the PUK, met with Demirtas and his delegation in Erbil on Wednesday to discuss a range of regional issues, most notably the Kurdish issue in Turkey. A large minority in Turkey, at about 20% of the population, the Kurdish people have long faced systemic discrimination by the Turkish state. This has included massacres and violent repression of their culture, with even the Kurdish language banned until recently. Such oppression led to the Kurdistan Workers’ Party (PKK) launching an armed struggle for national liberation in 1984. 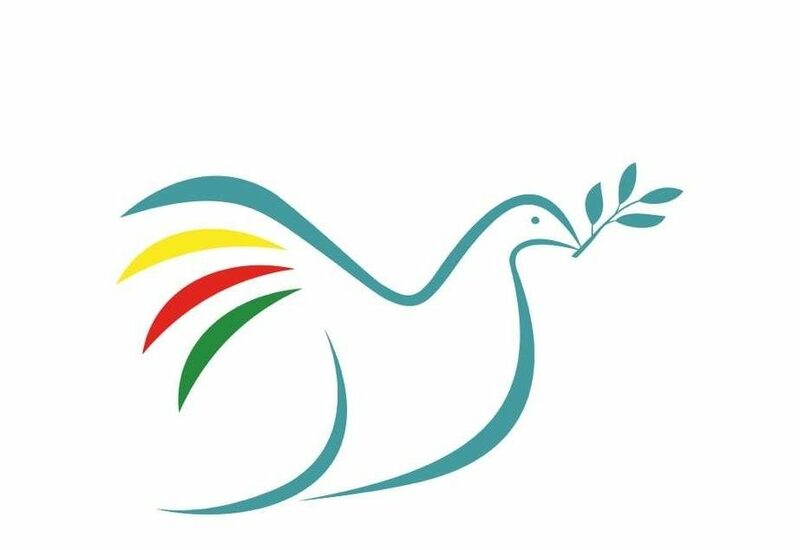 In recent years, the PKK — whose leader Abdullah Öcalan remains in solitary confinement in a Turkish jail — has declared its commitment to a peaceful solution to the conflict. In 2006, the European Court of Human Rights (ECHR) ruled that Turkish citizen Osman Murat Ulke, who refused to perform compulsory military service as an act of civil disobedience, had been subjected to “civil death” due to the numerous prosecutions he faced after his original jail sentence. Ulke’s expulsion from his profession and the prospect of an interminable series of convictions, which forced him into hiding, constituted a “disproportionate” punishment, the court said. As areas of Kurdish majority have come under attack and occupation by Islamic State of Iraq and Syria (ISIS), Syria’s Kurds have been at the forefront of the battle with the militant Islamist group. The struggle against ISIS has conferred international legitimacy on Kurdish forces – led principally through the People’s Protection Units (YPG) – resulting in significant military support from the United States. With this support, the battle for Kobane (Ain al-Arab in Arabic), in northern Syria near the border with Turkey, saw the first major defeat for ISIS. The victory of Kurdish forces in the city in January 2015 has become a symbol of resistance in Kurdish communities across the region. While initially considered of little strategic importance, the battle also became significant for the international community. British main opposition Labour Party leader Jeremy Corbyn spoke at a meeting in London and emphasized that Kurdish people’s right to self-determination must be recognised. The meeting organised by British Kurdish People’s Assembly was attended by many people from Kurdistan and Turkey, and moderated by Kate Osamor, Labour & Coop MP for Edmonton, Northern London. Labour Party leader Jeremy Corbyn who made remarkable evaluations during the meeting stated that: “I have always said, if there will be a peace process and solution, Öcalan must be free and at the table. We will maintain our works in this regard. Jeremy Corbyn at a campaign rally in North London among Kurdish supporters stressed his continuing support for the Kurdish rights in the Middle East. The leader of the British opposition reaffirmed his continuing support for Kurds in the Middle East, saying he would support Kurds even if he became the premier of the U.K.
We, intellectuals, writers, artists, politicians and human rights defenders, seek to draw urgent attention to the Turkish state’s invasion in Northern Syria and Rojava. The Turkish army invaded the Northern Syrian City of Jarablus on 24 August 2016, using anti-ISIS operations as a pretext. The operation was in collaboration with the Syrian arm of El-Qaida (Jabhat Fatah al-Sham) and groups like Ahrar El-Sham. The situation in Turkey has deteriorated rapidly in the last 12 months with thousands arrested and detained for daring to speak out against government actions, in addition President Erdogan is now using the failed coup attempt to crack down even further. Academics, journalists, trade unionists, and civil and human rights activists have all fallen foul to this unrestrained repression and nowhere has this crackdown been felt more violently and oppressively than amongst the Kurdish population.